Back in December, summer in New Zealand, yet another crop of 1,500 students took on the TAG Oil Tough Kid Challenge, a giant obstacle course and physical challenge at Yarrow Stadium in New Plymouth. We posted the news about 2015’s Challenge, but missed the amazing drone video of the event, which we’re sharing now in honor of the 2016 competition. TAG Oil and others donated time and goods to this hugely popular, annual event benefiting local kids of all ages. 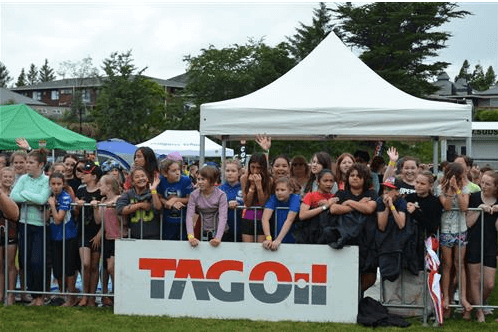 Put on by Sport Taranaki, a local nonprofit organization established in 1989, the TAG Oil Tough Kid Challenge promotes sport and physical recreation in Taranaki in a fun way. It fits well within Sport Taranaki’s mandate to create and empower an active and healthy community of all ages through sport and healthy lifestyle habits in the Taranaki region. Watch the drone video now, thanks to local company Drone Productions, and the even more amazing on-field view of the kids running the course!